How Can Google My Business Help My Company? One of Google’s most valuable tools for businesses is Google My Business. Since its creation, Google has expanded this tool to add even more features to make the tool as useful as possible. You probably notice a Google My Business account most often when you search for a business name and a knowledge graph follow along to learn how to take advantage of all the features of Google My Business! 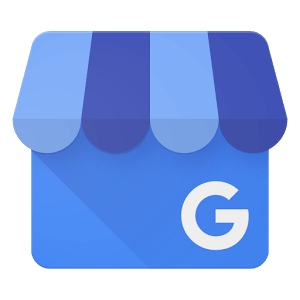 Google My Business asks for as much information as you can give about your company in order for them to both learn more about the business and for potential customers to get all the information they need. There is a long list of questions Google is looking for you to answer but the most crucial ones you must answer are your business name, address, phone number and website. Be sure to triple check this information to be sure it is correct! Google will also ask questions about your business’ location such as if it is wheelchair accessible. Do your best to answer each of these questions in order to give your customers an accurate read of your business. One of the newest features on Google My Business is the ability to post, as you would on a social media platform. Your most recent posts will show up along with the rest of your Google My Business profile when users search for your business so this is another strategic way to speak to potential customers. Once you set up a Google My Business profile, Google will begin tracking how many searches your business appeared in, how many phone calls and website visits you’re getting. Measuring growth is easy with Google’s insights tool, which allows you to see the number of people who searched for your business over 1 week, 1 month, or the past quarter.